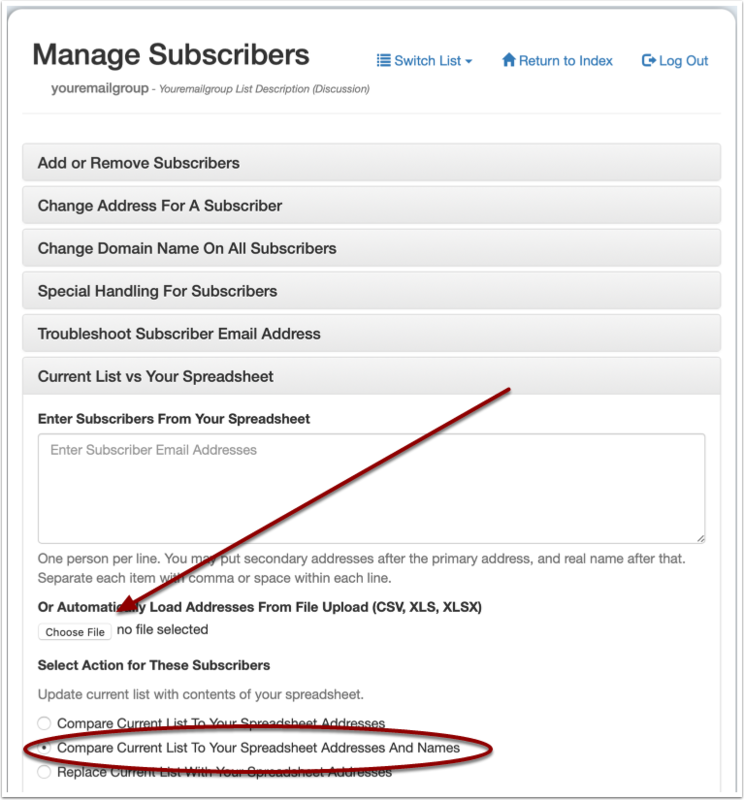 If your membership database is out of sync with who is on your mailing list, this procedure will show you the differences. 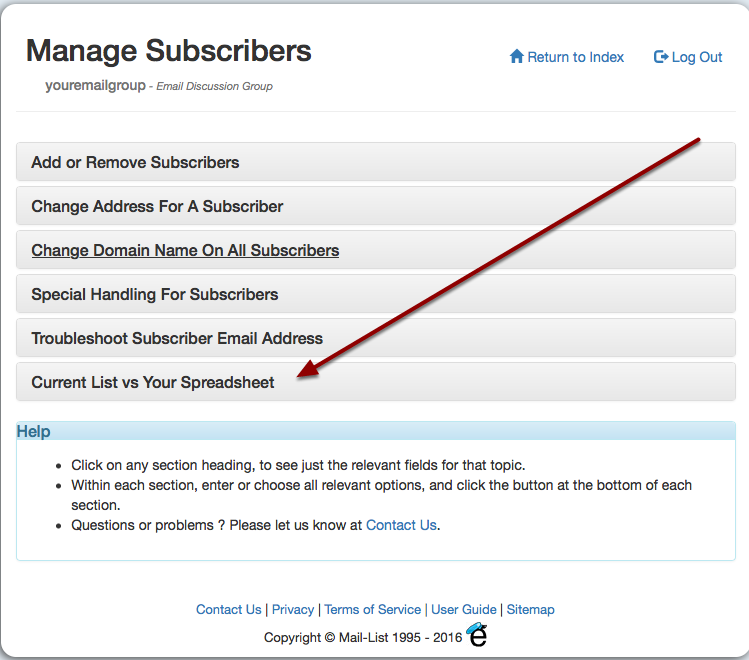 If you have multiple lists, this command will compare your membership to all of your mailing lists. 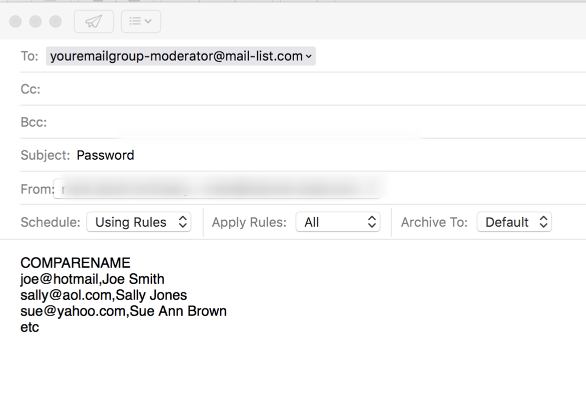 You can send in a list of your member's email address and names, separated by a comma. So if your members have changed their email address on your mailing list, this report will show you their current email address. This report will show you an audit trail of when members joined, unsubscribed, changed their email address, switched to the digest, etc. You can do this from email or our web page. The spreadsheet must have at least one column that contains your member's email address. 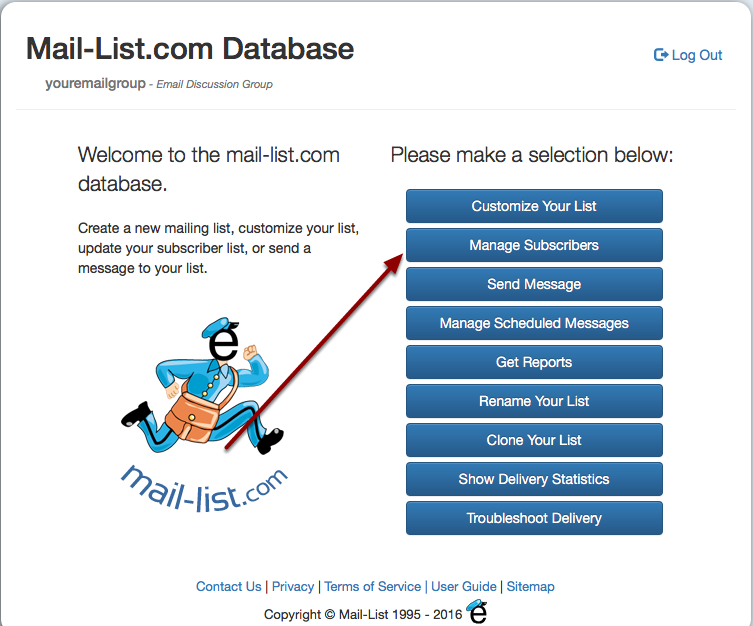 You can have many additional columns of alternative email addresses for that member. The last column can be their name or membership id or any other identifying data you store. All columns except for the last column must contain email addresses or be blank. 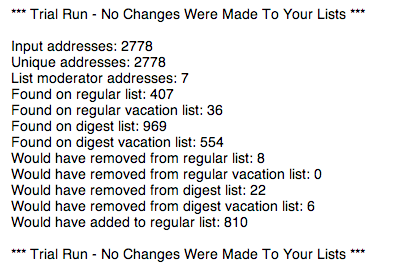 Paste your list of current addresses in the box. Your report will be mailed back to the moderator address you chose. Password in the Subject Line. The rest of the body of the email should be your list of email addresses and names, one email address per line. After the email address, put a comma, and then their name and any other information you want. You will receive an email report back, showing you the difference between your current roster, and who is on your list, on your digest, and on vacation. The report is sent as an attachment in a TSV (Tab Separated Value) format. Save the attachment to your Desktop. Open the TSV file with Excel or any other spreadsheet program. Next: How do I unsubscribe a subscriber?